Spring is here and people are shaking off the cold of winter and beginning to step out. As part of their plans, they want to look their best. That includes finding the footwear to go with their new spring outfits. Here are some common trends for women that you should keep in mind as you select shoes and boots for all sorts of occasions. Those new spring outfits you bought to wear to work should be matched with some new footwear. You will find Merrell shoes and boots will go well with many of those new spring items. You’ll find some options like the Encore line that work well with the new business slacks you bought to mix and match with the blazers and colorful blouses. The simple side buckles found with this design are just enough ornamentation for the office without overdoing things. You’ll also find they are comfortable seven if you have to be on your feet most of the day, just like a pair of Mephisto Helen Twist sandals. Colors are not unusual for the spring and this year is no exception. When your date is taking you to a place that is not quite formal but calls for something other than casual attire, consider going with simple slip-ons in a fun color. You can also dispense with the high heel Beautifeel Magnolia pair of shoes. Opt for a shorter one that still gives you a put-together look and adds some pop to the outfit. Like the simple black dress you can accessorize to fit the occasion, a simple pair of black shoes with a low heel will take you just about anywhere. If you want a dash of color, consider a pastel. Lavender is said to be one of the trendy colors for this year. Consider a pale lavender since it will work quite well with many of the spring colors that are part of your wardrobe. With winter over and warmer temperatures returning, it’s only nature that you would want to spend more time outdoors. Give your feet a rest too by opting for something that is open-toed and casual. One of the best choices you can make is to invest in a new pair of Birkenstock shoes. Like any Birkenstock shoe you’ve ever seen, the designs for this year focus on comfort, support for the arches, and an open design that allows your feet to make the most of the fresh air and sunshine. Your new pair can take you from window shopping to sipping a favorite beverage at an outdoor cafe, or even for a walk along the water’s edge. It was easy to work out indoors during the winter, but now you would like to be outside. Walking is a great way to get a great cardiovascular workout and also enjoy the sunshine. You need a pair of walking shoes that will support your arches, allow your feet to move freely, and take some of the stress off your ankles and lower legs. While the practical aspects of the walking shoes matter, you can still enjoy a bit of style. Consider purchasing a pair that sports vibrant colors. You can get some ideas by considering your skin tone, the color of your hair, and the color choices you make for your walking attire. The fact that you are exercising does not mean you can’t look great at the same time. Settle into a comfortable chair and take a look at the shoes offered this spring. Make a note of any pair that captures your attention and think of how you could put them to good use. Along with being prepared for any springtime activity, you also ensure that your feet look great. When it comes to outdoor events and hobbies, nothing is more important than a good-fitting, high-quality pair of shoes. Amateur fishing may seem like a leisure hobby, but keeping your feet warm and dry is not always easy. Here are some of the best shoes for Amateur fishing from five of the world’s most popular brands. If you want warmth, Cushe Shoes is one of the best brands out there. They offer several styles to suit your needs and preferences, too. The Allpine boot series boasts features like thermal fleece, waterproof suede uppers, and non-slip treads to keep you safe and secure during all of your fishing endeavors. They come in different lengths, too. Some hit the bottoms of your calves and others climb nearly to the bottoms of your knees for additional support, warmth, and water protection. Three different boots from KEEN Shoes are sure to fit all of your amateur fishing needs. The first, Targhee Mid D Earth, is a hiking boot designed for drier conditions when you need comfort and traction. It comes in various colors, too. The second, the Brixon boot, offers a taller upper and a waterproof design that is perfect for shallow wading or other conditions when keeping your feet dry is important. Finally, the Blackcomb Bison boot offers you rugged durability in a high-top hiking boot in a variety of colors. Although New Balance Shoes are famous for sneakers and running shoes, their boots provide the perfect balance between practicality and comfort for amateur fishing, too. Several designs for men and women alike give you support and flexibility with high-quality materials that will last for years. They provide you with extra traction on difficult terrain, particularly in muddy conditions. Ecco Shoes offers many different types of boots for almost any situation you can imagine, but the best for amateur fishing are the Darren and Howell series. They have the same rugged durability as your favorite pair of work boots, but they offer unparalleled comfort and a waterproof, durable design that will keep your feet dry for years to come. The above-ankle height gives you ample protection, and they come in various colors to suit your own personal style. Merrell Shoes makes a number of boots to suit any fishing conditions you can imagine. For instance, the Shiver pull-on makes it easy to swap shoes before and after your fishing endeavors, but it also keeps your foot warm and dry. The Turku boot gives you unprecedented stability when you need to traverse rough terrain, and the Polarand, another pull-on option, gives you a waterproof upper, insulated warmth, and a rubber toe for extra protection. When choosing the best shoes for amateur fishing, it is important to consider not only the weather, but also your personal style and the type of terrain. Any of the aforementioned shoes can give you the benefits you need so you can concentrate on catching fish instead of the condition of your feet. For many, fall ushers in a fashion-forward time of year. Sundresses and sandals are replaced with sweaters and boots, and jackets replace our bare, tanned arms of the summer months. If you enjoy changing your wardrobe each year when the leaves start to change their own appearance, you know that boots are the iconic symbol of pumpkin-spice-latte season. When you are deciding where to spend your fall footwear budget this year, keep these must-have boot styles in mind. Sleek, tall boots: The best thing about tall boots is that they look great on all body types. Plus, they have a slimming effect, even with a flat heel. You can pair tall boots with a fall dress or skirt, or throw on some leggings and a long cozy sweater. Tall boots instantly dress up any look, whether you are getting ready for a day at the office or a night out. This type of boot is popular year after year, so grabbing a high-quality pair or two will be a great investment, even as the rest of your wardrobe rotates out. Tall boots to try: Merrell Captiva. Made with full-grain leather, these boots feature an inside zipper that makes it easy to slip the boots on and off—and we like form as well as function. Unlike other fashion looks that sacrifice comfort, the Merrell Captiva has an air cushion in the heel that improves shock absorbency and a removable footbed for extra support and odor control. 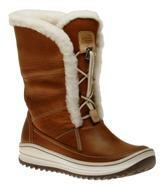 Warm, fuzzy boots: Get ready for the winter elements with insulated boots that feature fur or faux-fur lining. There are a lot of brands out there that look good, but many are not as functional as they look. Make sure you find waterproof boots made with high-quality materials. These will actually keep your feet dry and warm during the worst weather of the year, and not just look cute. But keep fashion in mind, of course, by considering a lace-up look that allows for a little more dimension. There is really no reason to sacrifice fashion or function in order to wear your boots happily. Fuzzy boots to try: Ecco Trace. These comfortable boots feature leather and suede uppers and a warm wool lining. The boots feature Hydromax technology that is water-repellent while still providing the wearer breathability. There is a wool-covered insole and a rubber outsole, keeping your feet warm inside and the cold, damp weather sealed out. 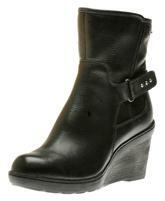 Heeled ankle boots: You don’t have to go with a full boot to sport this stylish fall and winter trend. Consider a pair of cute heeled booties instead. These look great with pants, giving the effect of a full boot to others while allowing you to wear less shoe. You can also wear booties with all of the same looks that you can with regular boots and show off a little more leg in the process. Ankle boots match well with skinny jeans, leggings, skirts, dresses… essentially any outfit. Plus, they work well in the warmer seasons, too! Ankle boots to try: Clarks Natira Kit Gtx. Clarks are well-known for being comfortable but they can also be really stylish. This model combines both qualities and employs GORE-TEX shoe technology to protect the leather uppers. With an orthopedically-friendly footbed, these boots make it easy to add a 3.25-inch heel to any look but still stay comfortable. 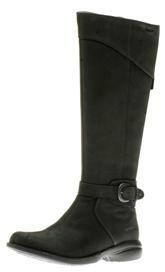 Boots are as much a part of fall as cooler temperatures and falling leaves. When you start adding new items to your fall wardrobe, be sure to remember your feet and treat them by slipping into these boot styles. What are some staples in your fall wardrobe? Introducing Great New Products from Merrell!! Merrell shoe’s have been constantly improving their product quality and durability of all of their products by using high end technology and rigorous testing procedures. Recently they have come out with amazing line of products which comfortably fits in the foot of the fashion and comfort loving women. Breathable mesh lining treated with Aegis® Antimicrobial solution maintains foot comfort. Ortholite® Anatomical Footbed for all day comfort and support. Molded nylon arch shank. Form® Comfort midsole provides women’s specific stride-sequenced cushioning. Merrell Air Cushion in the heel absorbs shock and adds stability. 5mm Sole lug depth. Vibram® Siren Sole/TC5+ Rubber.Merrell Siren Vent Black are very comfortable shoe wear and give excellent support. You can wear them through bogs, clambering over rocks and just everyday wear and they will be far living up to the product description. Merrell Hollyleaf Capri are well made and last a long time even with regular wear They turned out to be the most amazing, supportive, comfortable pair of sandals. Nubuck leather and nufoam upper. Microfiber wrapped footbed, that is treated with Aegis® antimicrobial solution, for ventilation and comfort. Non slip rubber outsole for shock absorbency. This women’s slip-on features a synthetic leather and air mesh upper with an antimicrobial mesh lining and removable cushioned insole that keep the interior—and your feet feeling very fresh. Synthetic leather and mesh upper. Strobel construction offers flexibility and comfort. 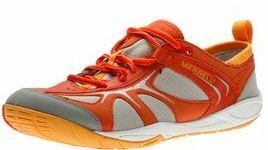 Merrell air cushion in the heel is shock absorbent, and provides stability. Ortholite® anatomical footbed provides cushioning and comfort. Mesh lining treated with Aegis® keep your feet cool and dry. Merrell’s signature QForm® Comfort midsole offers women-specific, stride-sequenced cushioning for energizing support, an arch-supporting nylon shank and a protective air-cushion heel. You will love wearing these amazing products from Merrell, which gives you the luxury of great comfort and durability. The Pace Glove features a breathable Microfiber air mesh upper. The Merrell Omni-Fit™ lacing system provides a precise, glove-like fit for all day comfort. Its fused rubber toe bumper and synthetic leather rear foot sling provide ultimate stability and durability. The non-removable microfiber footbed treated with Aegis® antimicrobial solution resists odor. A 1mm forefoot shock absorption plate maintains forefoot flexibility and protects the foot by distributing pressure. The Vibram® Trail Glove Sole with Rubber compound provides shock absorbency and comfort.